Because we don’t know where he was born and because we have very few information about his life before and even after he arrived in Canada in 1783, we are left with many unanswered questions. I don’t expect, over the years, to find answers to the majority of these interrogations. I am convinced that devoted members of our family have already found most of the vital documents about him. Nobody will come up in the near future with a file detailing the events of his whole life, from his birth to his death. 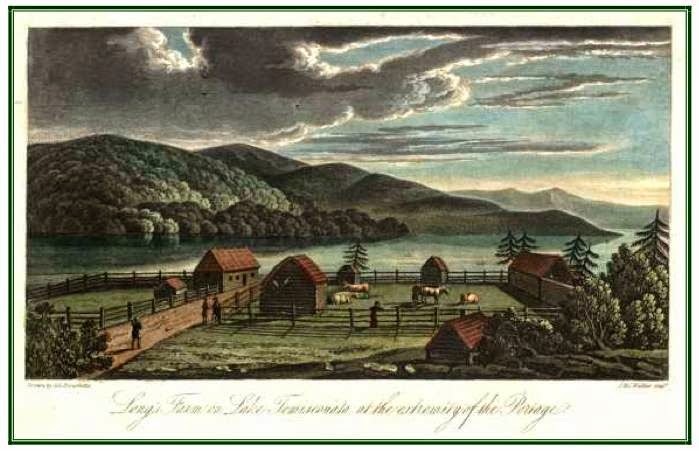 There are reasons why it is difficult to gather more information on Philip Long who lived in the 18th century at widely different places before he settled down in Lac Témiscouata, Qc. First, like most people at that time, Philip was not highly educated: he could barely sign his name. He didn’t leave behind any personal writing. Most of the significant documents about him come from his relationship with British officers while he was a public servant. Second, Philip lived in a time where the recording of information about citizens was still crude. In fact, the church, and not the government, did the major recording of vital information during the time Philip was living in Canada. Third, Philip lived at a time where communities were being established. The first arrivers were, for the most part, living on their own with no help from the outside. They had received a land grant in remote places where they had to concentrate their efforts on surviving above all. Fourth, it took many years for church and civil officials to offer regular services to all the communities spread in an area. For instance, the priest or the minister of a church would visit the communities a few times a year, even when a church was built in an area. The recording of the major family events was only done when the family was able to travel to a regional church, either for a baptism or for a marriage. Fifth, some documents about Philip’s life are very revealing about who he was. For instance, he received a parcel of land in Meductic NB, like the other Loyalists who came in Canada in 1783. That land grant tells us that he was a Loyalist. The muster rolls showing his name tell us that he was a Loyalist soldier. But, most of these documents are related to the period of time following his arrival in Canada. Sixth, before Philip got married with Julie Couillard, he was spotted in different places. It’s only after his marriage that the build-up of documents started. Before, he was more or less a nomad. During this period of his life, it is clear that he didn’t leave « traces » in civil or religious institutions. For these major reasons, we are left with uncertainties that have developed over time into hard-edged questions. Let me list a few. I’m sure that you have already formulated the majority of them, if not more. (1) If he was a Loyalist, why did Philip moved to Quebec instead of staying in St. John, Fredericton or any community in Nova Scotia where the Loyalists were getting organized into communities? Why was he more attracted towards Quebec than Nova Scotia? (2) Why did he choose to marry a French-speaking girl instead of an English-speaking girl? Was he already able to speak French when he met Julie Couillard? (3) What kind of training and background prepared him for carrying mail from Quebec to Fredericton an average of nine times a year for 19 years in a row, at a time when he was over 50 years old? The distance is 600 Km, one way. (4) Why did he choose to become a long-distance mail carrier instead of a farmer, for instance? At one time, he lived in Quebec City with his wife and two young children. Surely, there were job opportunities less challenging than carrying mail on an incredible distance. (5) If he had been born on American soil, why did John Mann, a journalist arriving from Scotland, wrote that Philip spoke English with propriety? He should have spoken English with fluency. (6) The oral tradition of our family is not extensive. Moreover, our current knowledge casts doubts about many aspects of it, if not all of it. The oral tradition is quite specific about his birth country, but not at all informative about his life soon after. I would expect the opposite. (7) We have had reasons to believe that Philip was born either in England, in United States or even in Scotland. Nobody has, yet, been able to find a birth certificate in those countries that would fit him reasonably well. Are we looking in the right place? If you have on hand a sensible birth certificate, send it to me, and I’ll pay the postage! (8) He was supposed to have left to his heirs a fortune. All the documents we have point in the opposite direction. This legend of the 20th century proved to be false, a hoax. (9) The children of Philip and Julie didn’t know the precise age of their parents. The age on their respective birth certificate is an approximation made by the priest. How could these same children know that he was born in Scotland and had immigrated in Pennsylvania? (10) While writing to a British commander, he talks about His King and His Country. Why not talk about Our King and Our Country if he was a Loyalist? Was Philip referring to a different King and Country? (11) From many sources, it is clear that Philip was much older than his wife Julie? Why did he get married so late in life? 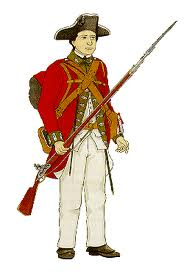 His military career, from our documentation, cannot be a restraining factor, because he seemed to have been in loyalist regiments from 1781 to 1783 only. Could it be that his military career had started much sooner? Was he part of the British army before the ARW started? (12) If we compare the civil, military and religious documents about him, it seems to me that the military ones tell us more about his possible origins than the other two sources. (13) A recent DNA test tells us that our ancestors are from Central Europe in a region including Germany and adjacent countries. WOW. It seems that we have been looking in the wrong place since the beginning of this research in 1923. (14) If you don’t stay close to the documentation gathered over the years about Philip, you will slowly slide from facts to fiction. All kinds of predictions have been running around about Philip’s origins. Some of us are convinced that he was born in a particular country, while others put him somewhere else. Each one of us has his own hypothesis about it. And that’s alright. But where is your documentation to back your hypothesis? Is it a « gut feeling » or something more elaborate? (15) I don’t have to tell you that many aspects of Philip’s life will never be uncovered, simply because there are no traces or documents about it. But, there should be a birth certificate somewhere. I’ll never stop searching, because I’m convinced there is one. I’m not searching for the size of his boots, but for his birth certificate. Let’s not loose sight of common sense along the way. These questions can serve to spark your interest about my ancestor. You might not be interested, though, to make any effort in finding his birthplace. That’s perfectly acceptable. But, if you simply want to learn more about him, it means that you are part of our adventure. I appreciate any level of participation in this long-lasting research project.